I'm drawn to mediums that I can't really do. 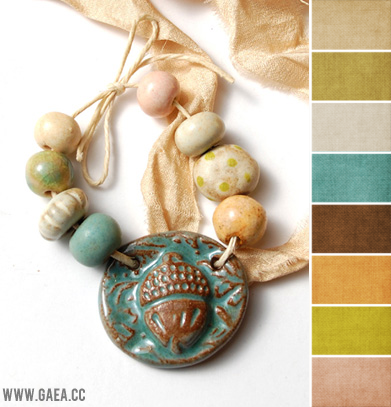 Like last month's art bead color palettes, with metal patinas from Miss Ficklemedia, this month, Gaea's ceramic beads caught my eye. I tried ceramics for several years with little success, so I'm always amazed with the work ceramic artists do. From the creating to the shaping, sanding, firing, glazing, refiring - work from artists like Gaea are truly labors of love! And aren't they gorgeous? 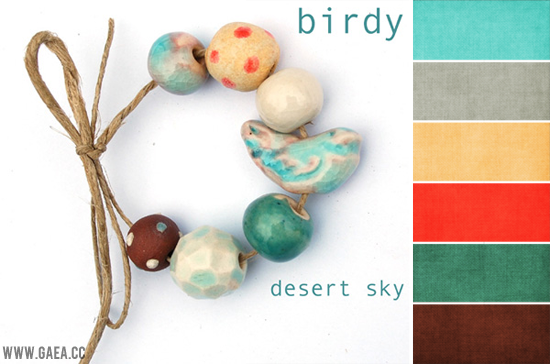 Gaea's already put together little color stories, so creating color palettes was so easy this month. 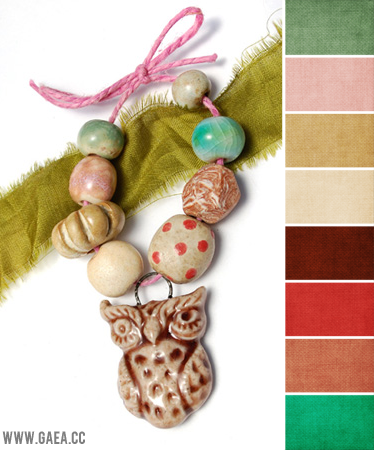 With spring coming to the northern hemisphere, I'm loving the bright colors of Gaea's beads the best. What about you? Have you worked with ceramics before? What colors are you loving right now? Want to connect with Gaea? You can visit her blog, her Etsy shop, and her website. Never worked with ceramics but there are a couple of artists that live near me that make the most amazing ceramic beads - I think lampworking will have to be my thing for a while - but there is always room for another skill. I love all those palettes especially the first one which look soft, happy colors they are. Love the color choices!! I am working with turquoise, pinks, greens and alot of Spring like colors. I have used some ceramic pieces before but not recently. Have an awesome day!! Thanks for the shout out Brandi! Spring is always inspiring! Happy creating! Beautiful inspiration, the pops of color really grab me! 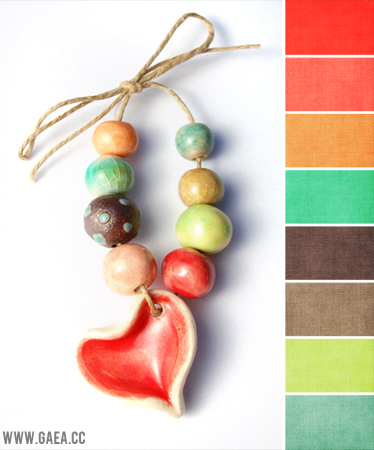 I too love ceramic beads and Gaea's are always lovely. Wonderful! Wow, I think this design can be also done for cellphone keychains. I love the idea of match beads.